USDA said they will work with states to load benefits onto recipients’ cards by Jan. 20, just within the deadline for a provision that allows them to pay out benefits, even without a budget. “I know there’s been genuine concern across America as to what will happen to these benefits as the government shutdown continues,” Agriculture Secretary Sonny Perdue told reporters on Tuesday night. “You’ve heard me say before our motto here at USDA is to ‘do right and feed everyone.’ With this solution I think we’ve got the feed everyone part handled and I believe that the plan we’ve constructed takes care of the do right part,” he said. 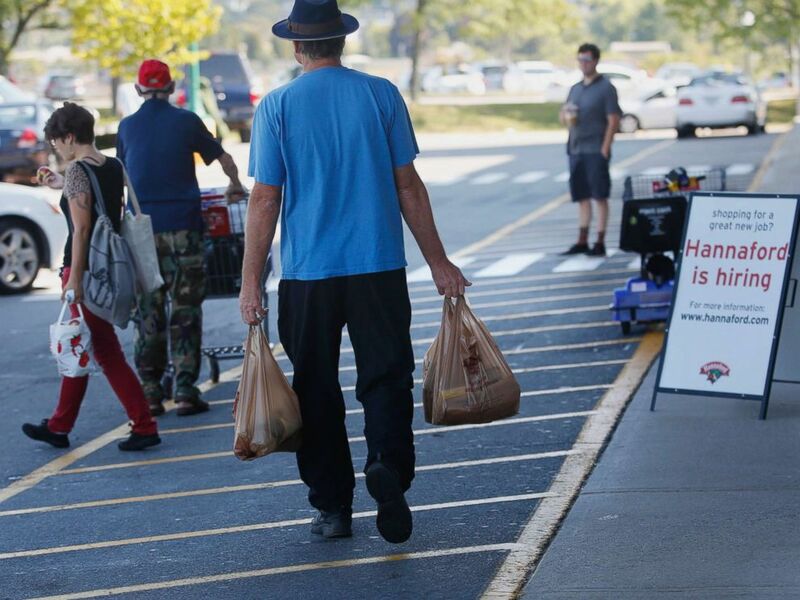 People shop at a supermarket in Portland, Maine, Sept. 16, 2015. 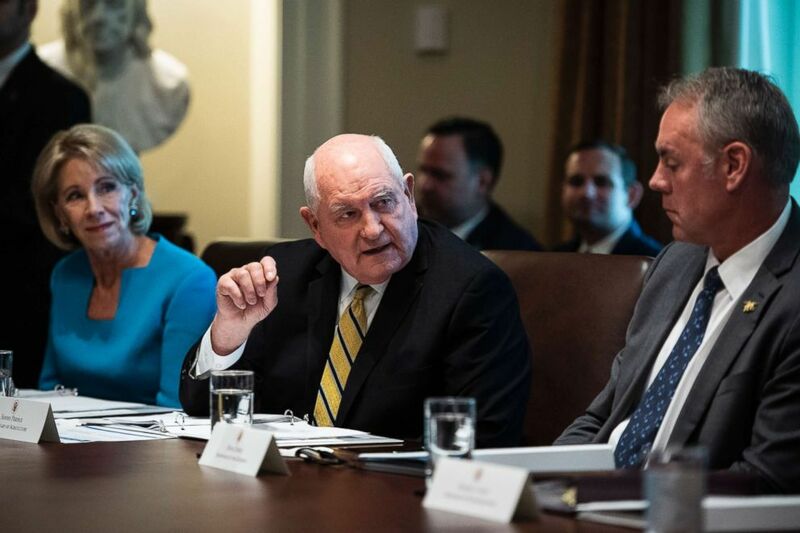 Secretary of Agriculture Sonny Perdue speaks during a cabinet meeting in the Cabinet Room of the White House on Oct. 17, 2018, in Washington. “It’s just too difficult to buy fresh food with just the little bit of money we have from his paychecks,” she told ABC News’ Start Here about her husband’s paycheck. “We’ve provided an additional month of SNAP benefits with this solution, I believe that gives Congress ample time to act,” he told reporters.